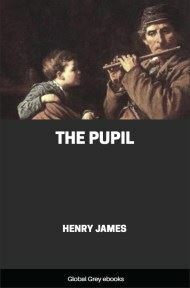 The Pupil is a short story, first published in Longman's Magazine in 1891. 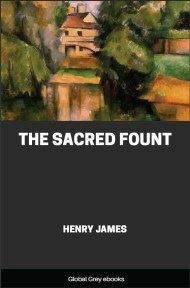 It is the emotional story of a precocious young boy growing up in a mendacious and dishonorable family. He befriends his tutor, who is the only adult in his life that he can trust. 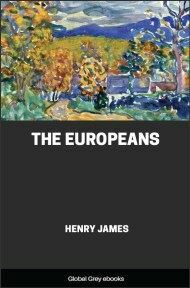 James presents their relationship with sympathy and insight, and the story reaches what some would consider the status of classical tragedy. The poor young man hesitated and procrastinated: it cost him such an effort to broach the subject of terms, to speak of money to a person who spoke only of feelings and, as it were, of the aristocracy. 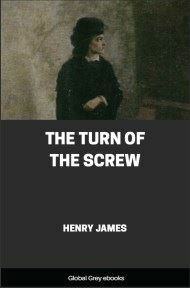 Yet he was unwilling to take leave, treating his engagement as settled, without some more conventional glance in that direction than he could find an opening for in the manner of the large affable lady who sat there drawing a pair of soiled gants de Suede through a fat jewelled hand and, at once pressing and gliding, repeated over and over everything but the thing he would have liked to hear. He would have liked to hear the figure of his salary; but just as he was nervously about to sound that note the little boy came back — the little boy Mrs. Moreen had sent out of the room to fetch her fan. He came back without the fan, only with the casual observation that he couldn’t find it. As he dropped this cynical confession he looked straight and hard at the candidate for the honour of taking his education in hand. This personage reflected somewhat grimly that the thing he should have to teach his little charge would be to appear to address himself to his mother when he spoke to her — especially not to make her such an improper answer as that. When Mrs. Moreen bethought herself of this pretext for getting rid of their companion Pemberton supposed it was precisely to approach the delicate subject of his remuneration. But it had been only to say some things about her son that it was better a boy of eleven shouldn’t catch. They were extravagantly to his advantage save when she lowered her voice to sigh, tapping her left side familiarly, “And all overclouded by this, you know; all at the mercy of a weakness —!” Pemberton gathered that the weakness was in the region of the heart. 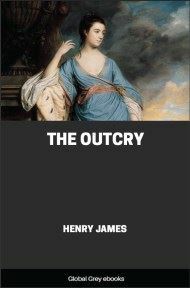 He had known the poor child was not robust: this was the basis on which he had been invited to treat, through an English lady, an Oxford acquaintance, then at Nice, who happened to know both his needs and those of the amiable American family looking out for something really superior in the way of a resident tutor.